Sorry, this one took a bit longer to put together. I usually spend the time over the Christmas break compiling all the songs and formatting them but this year I was busier than usual. Last year, we compiled a huge file of 80’s songs for a theme song night we held in Delhi at the Music Cafe. I also compiled Legion jam songs into two formats: one set of just lyrics with chord letters (so guitar players would feel comfortable) and an original set of song sheets with ukulele chords. I ALSO compiled a binder of Christmas songs of sheet music so my sister and her friend could play along with me for a “sing along” party that she held at her house. Co-ordinating their sheet music in the same key as my ukulele songs was a nightmare. I finally had to concede on some and just re-write mine in the same key as the sheet music. Sheet music, by the way, is hard to find on the internet for free. So remember that the next time you’re surfing around trying to find a song in a particular key: just get off yer duff and transpose it yourself, lazybones! So the influence for this year’s songbook comes from the 80’s theme song night and the Legion jam songs. 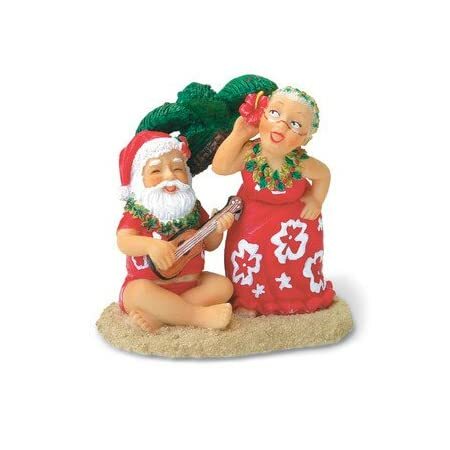 I posted hardly any contemporary or modern ukulele songs this year. I had gone back and revisited 2 songs that I had promised to the Colbie Callait category, so that’s what I contributed to that genre. 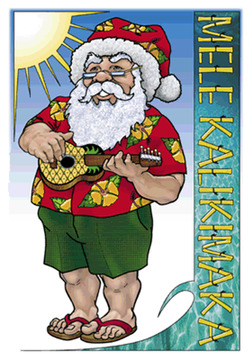 The traditional Christmas ukulele songbook is still in the works. I think I have 7 songs out of 18 formatted. It will be coming out in the fall. You can find all the other songbooks I compiled on the Songs tab. Scroll down to the bottom to the Songbooks section. 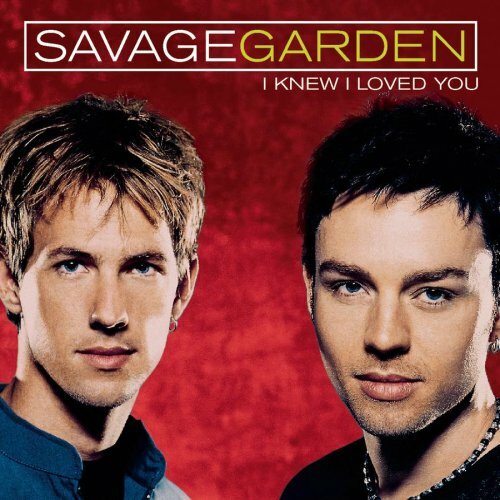 Dreamy Australian band, Savage Garden invaded our Canadian air-waves in the late 1990’s and this song became one of the most-requested wedding songs. Although we can’t reproduce the deep bass beat (unless we have someone who plays the U-bass…) we can still convey the romantic feel of this song. In 1997 “Truly Madly Deeply” was the No. 1 hit, until January 1988 when Celine Dion’s song from the movie Titanic, “My Heart Will Go On”, bumped it down to No. 2, where it remained for 10 weeks until it returned to No. 1 again for the rest of the year. Over the last 5 years or so Jeff and I have been to about 10 weddings and at 3 of those, “Truly Madly Deeply” was the Bride and Groom’s song. Nice, ay? Ahhhh, jammin’ at the Legion – what a terrifying thought!!! No way, no how, right?! WRONG! You too can rule at the Legion jam session. Just don’t let them push you around. These here people are seasoned professional jammers, don’t kid yourself for one second. And how do we “little ukulele players” fit in with that? Bring your chord wheel, your ukulele chord charts and your Chords in Keys charts, and lay them out. Practice your strumming techniques. Pray that there will be a stand-up bass play to help the group keep time, and bring a friend. The friend is there to sit right beside you and fetch you a drink or two (whether non-alcoholic or not is up to you). It can be daunting. We are used to playing in a big group where every instrument is some variation of a ukulele from soprano to U-bass. That is the landscape we are used to looking at. When you sit in on a jam session you may feel out of place. You will be surrounded by – this is a given – guitar players for sure, and then a smattering of fiddle players, and then a range of instruments from one or two banjo’s to a mandolin, dulcimer or harpsichord. You just never know and it usually varies from week to week. Also, I need to interject here, there is a VERY big difference between sitting in on the local informal jam session “down the pub” or “down the Legion”, and the organized jam session of an art, such as Hamilton Irish Arts. You can’t join in on that one, but you are welcome to listen as a patron of the bar. Typically, speaking in general, you have to be invited. I believe you can approach the hosts of the event and introduce your instrument but generally unless you can prove yourself to be proficient in that art, you won’t be allowed to participate as a player. At the informal pub jam, there is usually a leader of the group, or you may recognize him or her as “the host”. So that person usually makes an effort to introduce themselves and ask your name so that they can introduce you to the group. If the group has a large number of males and only one or two females, and you are a female, they generally are glad to see you and will make more of an effort to keep you because your singing voice helps even out the sound of the group. This jam takes place for two reasons: wanting to play with others, and the deal made with the establishment to bring in patrons, therefore 50% of what they are doing is to entertain the patrons who are gathered around to listen. Sometimes the patrons want to sing with. That is also comforting because the louder everyone around you is, the less they can hear you if you make mistakes, so you feel better about the situation. The leader or host, usually keeps the song selection going by keeping the participants selecting songs. This is what I call “karaoke style” where each player is asked what song they want to do, in the same order no matter if new players join in half-way through or whatever. Sometimes the player selects a song that they want someone else in the group to lead, sometimes the player passes, sometimes the player stands up and performs a song alone. In which case we politely listen. The key here is to go with the flow. Depending on the leader or host, he or she might be accommodating the players by making the key of each song known, and in some cases the leader will call it to the group. There isn’t usually a lot of discussion beforehand because this is not a teaching situation. Either you know the song and are able to join in or you don’t. If the leader feels like calling out the chords, he or she will but it is not their job. They don’t have to so you should not rely on that happening with consistency. Sometimes all you’re told is the key, ie. “Jambalaya in C”. Sometimes they all just launch into a song and it’s up to you to figure out the key. If there are other uke players in the group, you can figure out the chords by looking off them. If not, you might be able to pick up what the left-hand formation of chords like C and G look like on a guitar player and figure it out from there. If you are at least told which key, then if you have your chord finder before you or a Chords in Keys chart, then you can make your way through the song by listening to when they change chords and try to establish the pattern of chords. Is it C then F then back to C, twice? And keep a pen and paper handy to jot that down if you need to. Another calling situation would be if the leader tells you the key the song is in, followed by letters. This refers to the circle of fifths and is a notation of the specific chords of the key. So for example if they say, “Key of C, one four five” that means, the first, fourth and fifth chords in the key of C. How do we figure that out? In this example, the first chord is C. Then we use counting. If C is the first chord, then D is the second one, and so on. In this example the chords being used will be C, F and G, and some variation such as C7, Fm and G7, etc. For the key of G, G chord would the first chord, then by counting, the fourth chord would be C and the fifth one would be D. Even better, just keep the Chords in Keys chart in front of you so you can figure it out quicker. As time goes by you will get faster at this. It is a good experience for any of us to at least try. I feel that I am now so much better at “listening” to chord changes and have developed a better ability to “play by ear”. It has helped me when developing my own song arrangements. And I have a better understanding of songs that are good for group performing and which keys are actually better for group singing. There are many songs that I redid just because I needed a better key for my personal singing range, but that did not mean that that key was any good for the group to sing. Because of this idea you might now appreciate why a song is available from large uke groups online, in a certain key. When you start to sing it, try to imagine hearing a range of other voices. That’s why we bring them to group. Other suggestions are: Jambalaya, King of the Road, Eagles songs, Could I Have this Dance, Wagon Wheel, I Walk the Line and others by Johnny Cash, Singin’ the Blues, You Are My Sunshine, gospels like I Saw the Light, and Irish songs like I’ll Tell Me Ma and The Black Velvet Band. It took me a while, but I finally got all of my 2016 and 2017 song arrangements into one big PDF. This does not include any internet songs that are already out there that I had made links to in various posts in those two years. In the upcoming year I am working on some songs that I call “Oldies”, that are not played on our modern radio stations these days. One in particular I am fond of is Buttons & Bows. I have already looked at some Oldies that offer some really sweet chords that I enjoy playing, even if it meant that I had to go to Youtube and listen to how the song goes. Some of these are Autumn Leaves, The Summer Wind and We’ll Meet Again. When examining older songs you get to learn what sweet chords compliment those Keys and they stick with you. You end up carrying them with you into other songs that are in the same Key. For example, one of my friends enjoys Bill Bailey, Don’t Fence Me In, Hello Ma Baby, Shine on Harvest Moon, and Wait til the Sun Shines Nellie, to name just a few. Some of these songs have tricky chords, as anyone who has ever tried I’ve Been Working on the Railroad will probably agree. 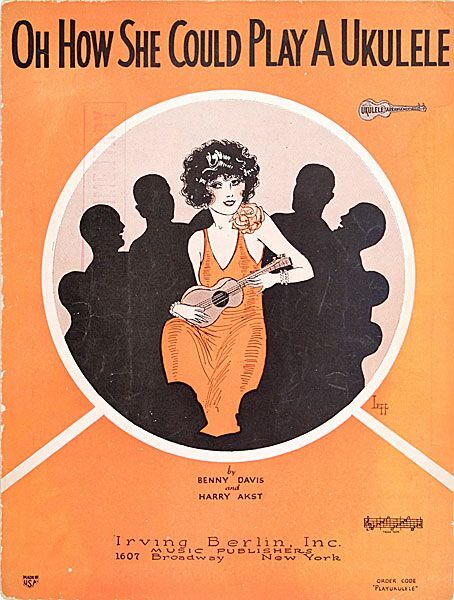 If you have an interest in these and more, you can download this little PDF doc called “Fleabag Music”, which was produced by some volunteer uke players and made available at the Ukulele Hall of Fame Museum website, the 4th Peg and at EX Folk dot com, but here it is for your convenience: Fleabag Songbook. I also like these older songs because they harken back to a different historical time. Some of them are a real glimpse into what life was like at that time. I mean, how often do you see a bicycle built for two? Hello 2017! I am really looking forward to everything this year may bring, particularly to us uke players, ha ha. First I would like to say a BIG THANK YOU to all of my loyal Followers and viewers who enjoyed my blog. I want you all to know how much I really appreciated your viewing, comments and E-mails. I have enjoyed all of the interaction and have strived to make improvements to both my arrangements and my website. This year is an odd-numbered year, which is a great thing BECAUSE the Liverpool Ukulele Ceilidh will be on in October and, if tradition holds, may be held on the grounds of the popular White Point Beach Resort again. But you never know, so don’t hold your breath! As soon as I have the dates and the online workshop registration is open I will post again on my website to let everyone know. Can’t wait! 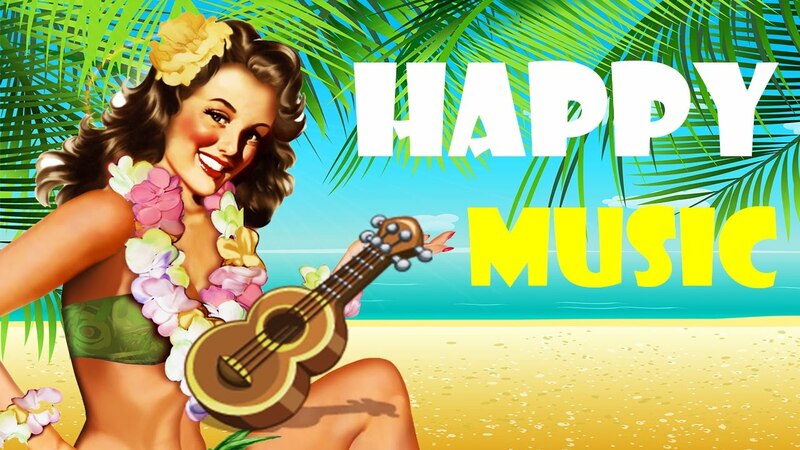 The other thing this year will be fantastic for is the South Florida Ukulele Fest will NOT be held during the March – Hallelujah! 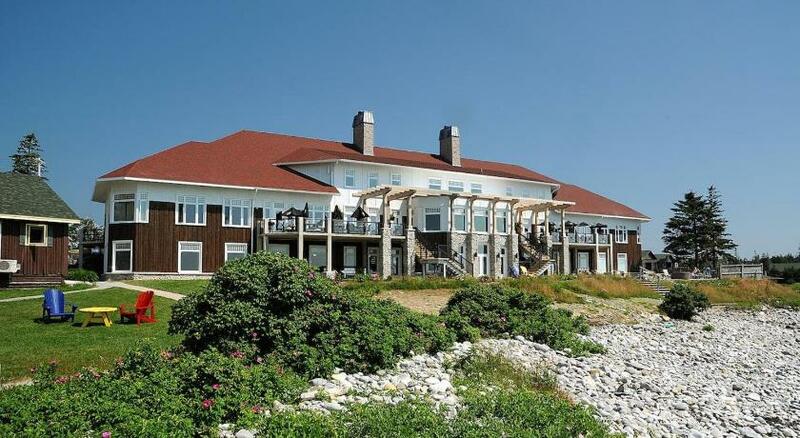 Would have absolutely LOVED to have attended last year, I researched hotels and flights and everything, but alas, absolutely NO hotels available in the area and the flights proved to be outrageous: $1000 per person – that ain’t even direct flights! I will be working on more songs to add to the 16 that I did last year, but also of interest to me as a CANADIAN is the fact that Canada will be celebrating 150 years as an independent nation, so I planned on developing 10 more songs that are considered to be Canadian either in nature, subject or creation. Will keep everyone posted! 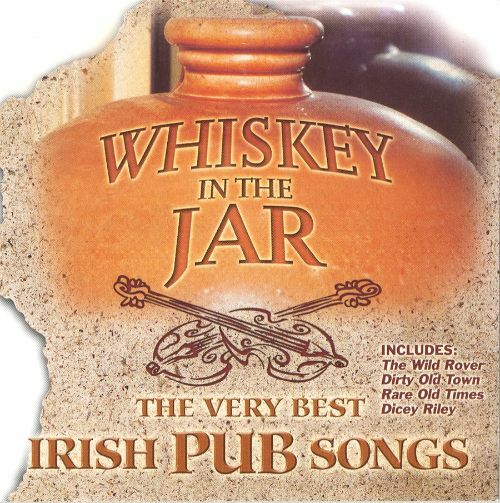 Whiskey in the Jar, Oh! 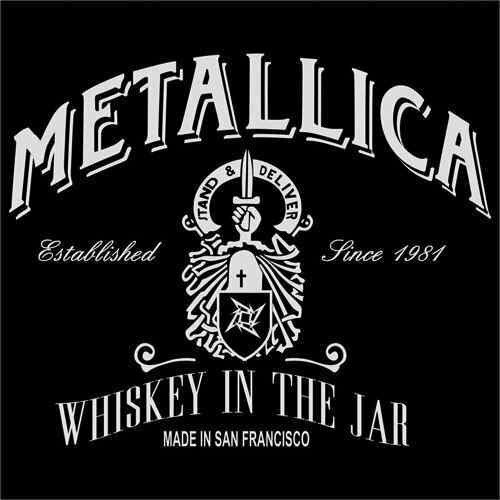 This month I am starting off with a famous classic re-make, Whiskey in the Jar, recorded by the heavy metal band Metallica in 2004. This was a standard radio song for at least four years, joined by the re-make rendition of Turn the Page, and the semi-romantic hits Nothing Else Matters and Unforgiven. Great band, great voices and wonderful subject material. Even though they were definitely in the ‘heavy metal’ category, they still embodied everything that is fun about Rock ‘n’ Roll. A few years ago Jeff and I performed this song at a “Spooky Ukey” Hallowe’en theme song night, and dressed up as the characters. Jeff’s singing voice is similar to Rod Stewart/Dr. Hook and he really pulled it off – as well as anyone singing this song to an acoustic ukulele can…. I hope you enjoy our rendition of Whiskey in the Jar as much as we did! 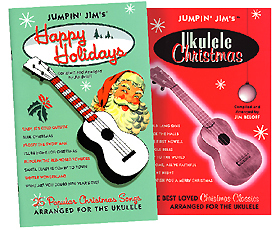 The following Ukulele Song Books are available for downloading, in PDF format, and arranged by me. Hope you enjoy them, visit my site often and feel welcome to post a comment. Today is Tuesday, January 12/2015, and a big Nor’Easter just blew into my town and buried us in snow. It’s all very exciting stuff, and the wind was blowing so hard that I decided to stay in the house after I got home from work. It was pretty hard to breathe coming up the walk-way! Two hot cocoa’s and half a bag of Jr. Peppermints later, I just managed to finish combining all of the songs I arranged last year (2015) and compile them into one big PDF document. As I was working, I would get the occasional friendly message, “There are too many graphic inserts in your document” with one of these [! ], so I had to rearrange some of the songs a bit from what I had posted. Some of them are now one page – imagine that! – instead of two. And I gave it a cooler name. 2014’s was called Cat’s Ukulele Songs. This follow-up song book I have called Cat’s Ukulele Songs 2015. Pretty snazzy, no? With no further ado (and even less fanfare) here is 2015 Songbook 2. Recently, while looking around on the BUG website under Songbooks, Christmas, I discovered that there are a lot more lyrics to the “Auld Lang Syne” song. Cool. They are even half-decent to pronounce. In the past, one of the best Christmas song books that I have experienced with a group and for solo-ing is by the Seatle Ukulele Players. I am not sure if it is still available at their website, but you can get a download from the BUG site. It’s called SUPA. It has three huge pages of chord charts PLUS it has an entire page of key transposing, which is basically priceless. There are several songs from that book I recommend. One is the “Chipmunk Song”. “Blue Christmas” is good because it has lots of embellishing chords. The only drawback may be that it is in F, and you might have a problem with G minor. If so, there are better arrangements elsewhere. (I like it in C, replacing the Gm with Dm.) Others I enjoy start from “The Christmas Song”, pages 11 to 16; “Holly Jolly” on 20; “I Want a Hippo” on 24; “Jingle Bell Rock”, 26; “Rudolph” on 32; “Santa Baby” on 34; “We Wish You/Christmas” on 40. “Winter Wonderland”, on page 42 is in the perfect key for me (I’m a soprano-alto singer). Another good song book is Snowselele: Snowselele_Version_1_11. Another good one is this one with the little reindeer on each song, uke club unknown. They have an excellent “12 Days of Christmas” on page 22. The only clue I have is the website it originated from – ukuke.co.uk. I believe this is the U.K. Uke club, some kind of overall UK directory of all the clubs there? My very favourite books are of course from Jumpin’ Jim Beloff and Flea Market Music. Right now you can get both of these books, around 50 Christmas songs arranged professionally with standard notation, chords and lyrics, for $25! Go to http://www.fleamarketmusic.com/store/Scripts/prodView.asp?idproduct=184 for more information. Hope everyone has fun and shares free and good locations for Christmas and Holiday tunes!